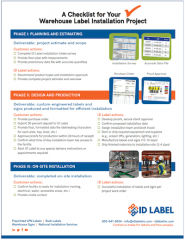 Warehouse Label and Sign Installation Checklist | ID Label Inc.
Plan Ahead to Meet Your Go-Live Date! How far in advance should you begin planning for labeling a new warehouse? How should you prepare your data files for label production? How should racking be prepared for labeling? 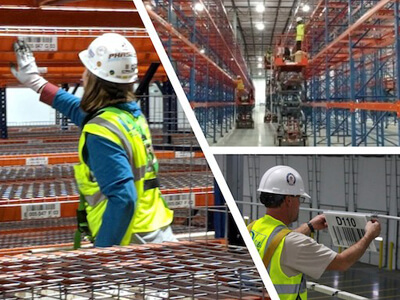 Download our checklist to learn the key preparation steps involved in labeling a new warehouse or DC.